Egypt has been waging a major military and security campaign, mainly in Sinai but also on the border with Libya, to crush militants behind a wave of attacks on security forces and civilians, including Christians. 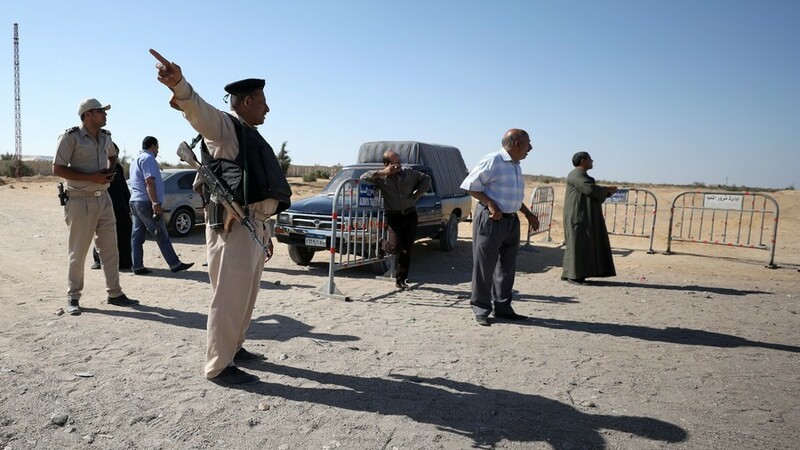 At least seven people were announced killed and seven others wounded after a bus carrying a number of Copts was attacked near the monastery of Saint Samuel the Confessor in Upper Egypt's Minya on Friday, an anonymous security source said. The Islamic State (IS) killed more than 40 people in twin church bombings in April 2017 and a month later shot dead nearly 30 Christians in Minya province as they headed to a monastery on a bus. "Terrorists opened fire on a tour bus from Sohag province, heading back from the ... monastery", the archbishop said. A security official confirmed the attack in the central province of Minya, adding that there were "dead and wounded". "Those who carried out the ambush... in Minya are fighters of the Islamic State", Amaq said in a statement on the Telegram messaging app. He expressed his deepest sorrow and assured his "determination to continue our efforts to combat terrorism and to pursue the perpetrators". Assailants reportedly used side roads to reach the main highway and shoot at the buses, which were nearing the monastery. Egypt's Christians, who account for some 10 percent of the country's 100 million people, complain of discrimination in the Muslim majority country. The attack took place close to where gunmen killed 28 Christians in a similar assault in May 2017. Church spokesperson Bouls Halim told The Associated Press news agency the death toll was likely to rise. A suicide attack on 11 December 2016 on the Saint Peter and Saint Paul Coptic Orthodox Church killed 29 in the heart of Cairo.